Remember Rootabaga Pigeons? My mother checked this out from the library for me. It’s “an omnibus volume including all the stories in ‘Rootabaga Stories’ and ‘Rootabaga Pigeons. '” Carl Sandburg’s fondness for long and fanciful section titles is confirmed beyond all doubt, as evidenced by: “Three Stories About the Finding of the Zigzag Railroad, the Pigs with Bibs On, the Circus Clown Ovens, the Village of Liver-and-Onions, the Village of Cream Puffs.” I read a couple of the stories. They are very weird and a little bit Ozian. 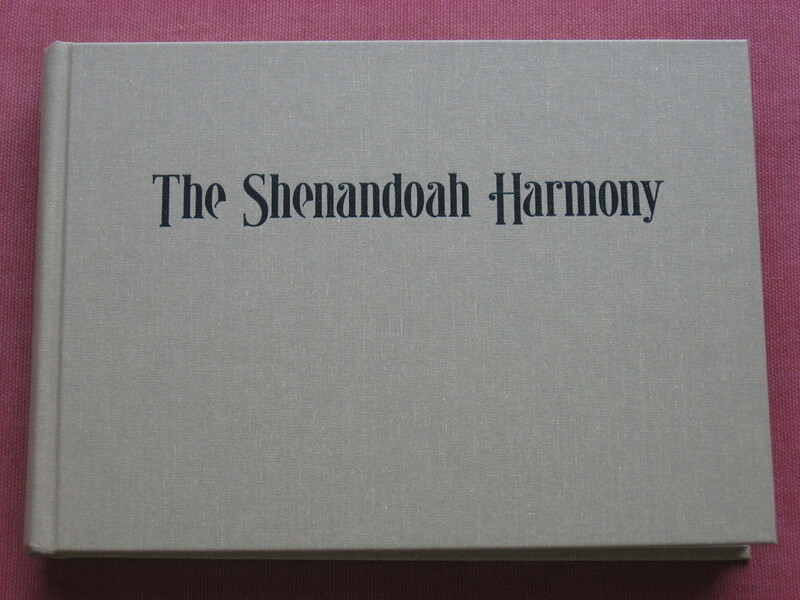 Behold, my very own copy of The Shenandoah Harmony, the newest shape note songbook! I know three members of the music committee who selected the songs for this collection, and two friends of mine have tunes in the book, so it’s rather exciting to finally acquire it. 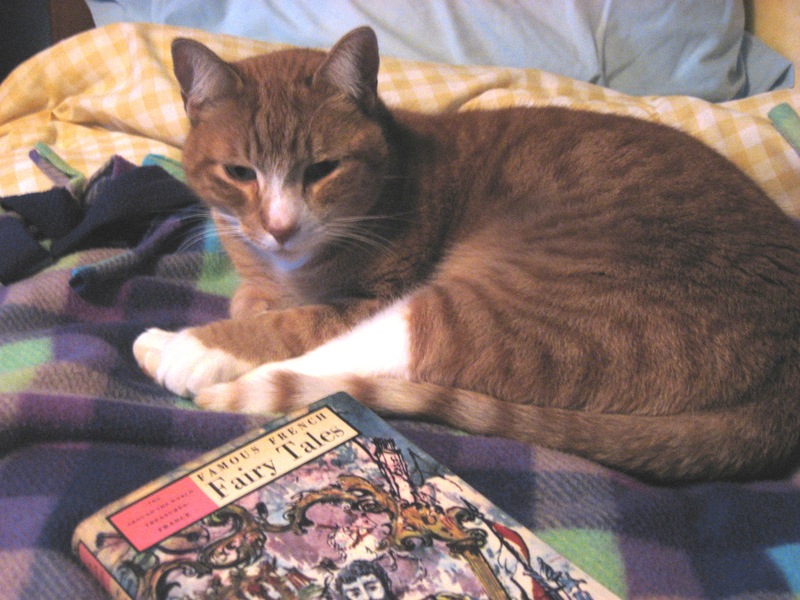 Finally, here’s the family cat, Bismarck, looking very literary. 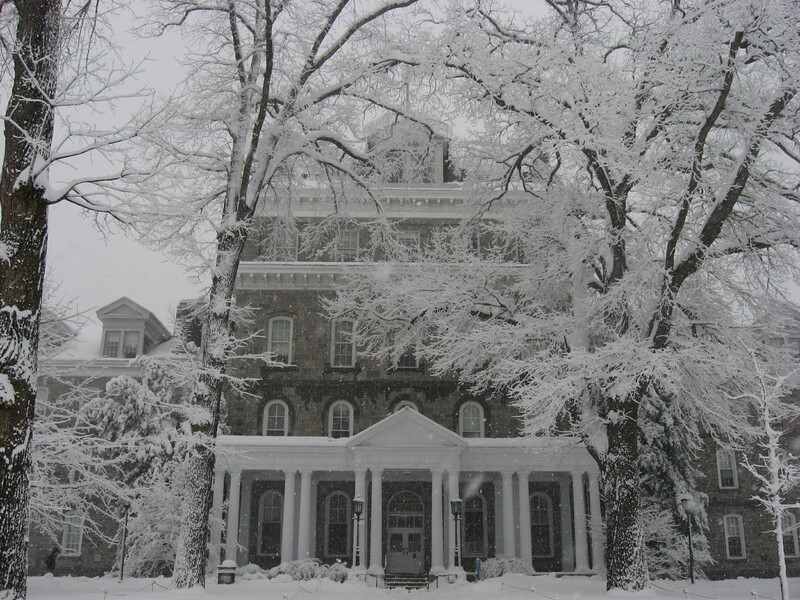 I’ve been suffering from snow envy this week. The Twin Cities just got snow, and Swarthmore just got snow, but there is a sad dearth of it here in southern California. I love snow. The way it glitters under the cold winter sun. The way it settles on evergreen boughs and caps fence posts and frosts every leafless branch with white. The serpentine way it blows across a frozen pond. 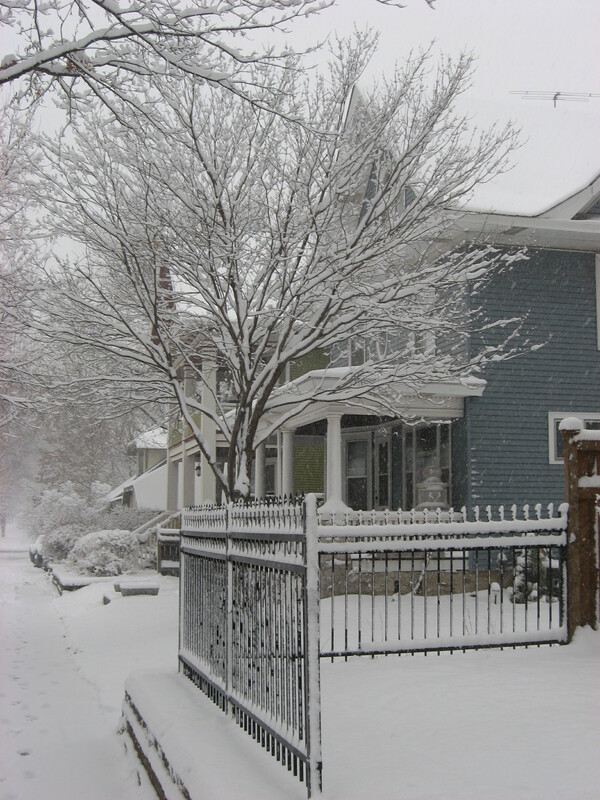 I love the blueness of snowy evenings and the way falling snow makes the world quiet. The Lion, the Witch, and the Wardrobe by C. S. Lewis: I know, I know, the snow represents the power of the White Witch over Narnia (“always winter and never Christmas” and all that), but I love it when Lucy pushes her way through the fur coats in the wardrobe and finds herself in a snowy wood at night. And Pauline Baynes’ illustrations of the Lantern Waste in the snow and of Lucy and Mr. Tumnus traipsing through the snow-bedecked trees are a bonus. 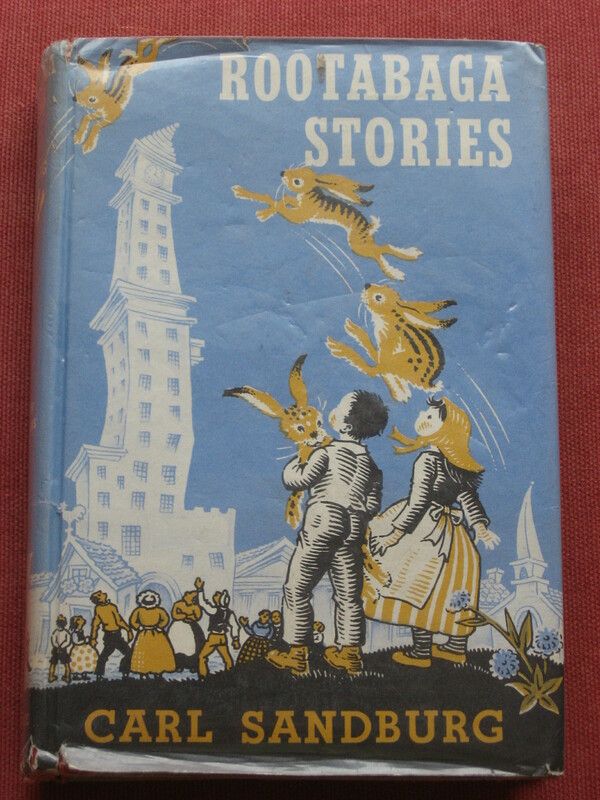 The Snowstorm by Beryl Netherclift: This was one of my mother’s old Weekly Reader books, and it completely captured my imagination when I was a kid. Three English children sent to stay with their Great-aunt Amethyst in an old house called Farthingales. 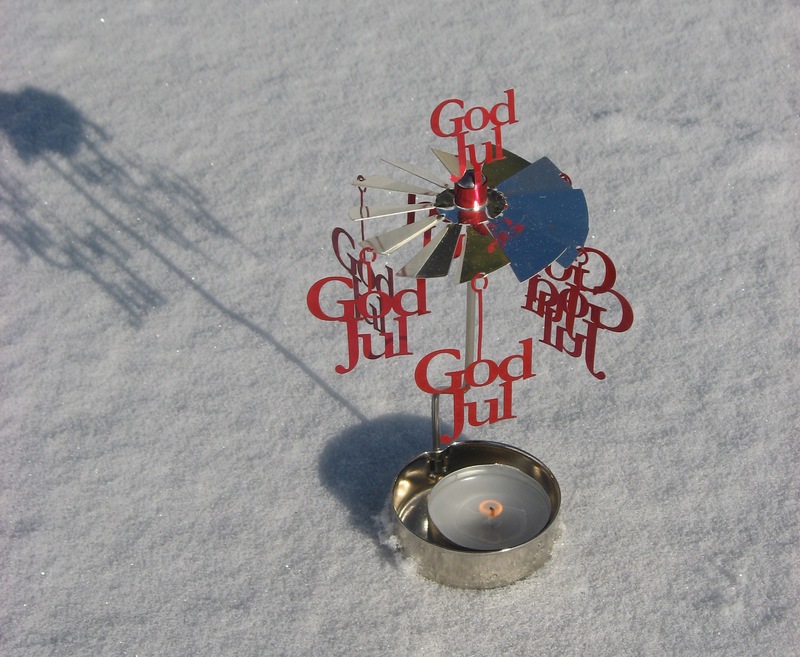 A snowstorm (that is, a snow globe) that bends time. Secret passageways and lost family treasures. And then, when a real snowstorm hits and Aunt Amethyst fails to return from her errand to town, the children find themselves snowed in alone… This book is why the name Faraday will always have a mysterious, enchanting quality to me; why I know of the poet John Drinkwater (“At the top of the house the apples are laid in rows…”); and how I first heard of Bovril and Ovaltine. What are your favorite snow books? Today I conclude my series on The American Songbag. 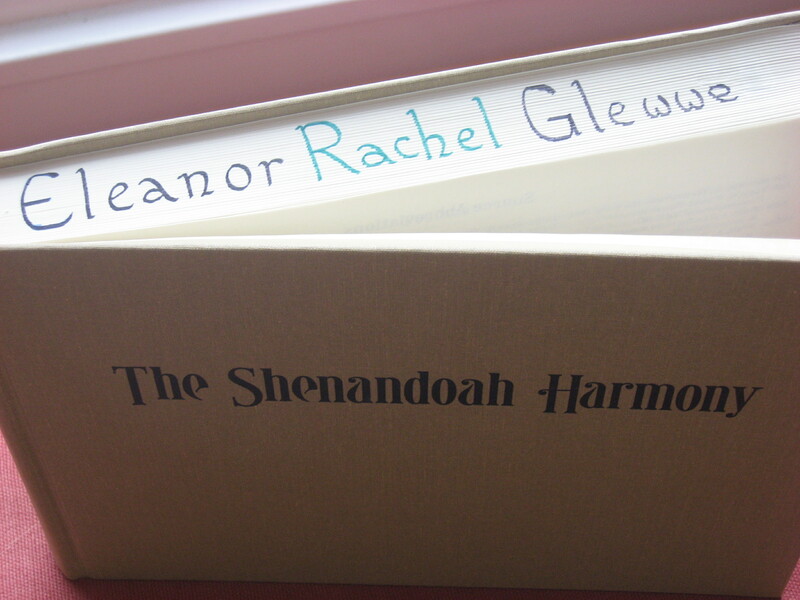 You can also read Part I and Part II. This post is a continuation of Part II. Last week, I talked about finding in “The True Lover’s Farewell” elements from different songs I hadn’t thought were related. I then discovered a third song in The American Songbag, “The Lover’s Lament.” “Blendings from five or six old ballads are in this song of parting lovers,” Carl Sandburg says. This song has an A and a B text, but there is no indication as to whether they have different sources. Anyway, the verses of “The Lover’s Lament” seem to connect everything even more. Get ready for a lot of texts! Now, we can dive into “The Lover’s Lament,” whose stanzas strongly resemble selected stanzas from “The Blackest Crow,” “Winter’s Night,” and “Every Day Is Three” (as well as the other American Songbag songs I’ve mentioned—but the text of “The Lover’s Lament” is actual closer to those of Molly & Maggie’s, Crowfoot’s, and Tim Eriksen’s songs than to the others in Sandburg’s book, which almost suggests these three more recent songs were derived from this text or a connected source). Interestingly, “The Lover’s Lament” has a refrain that doesn’t look much like anything else I’ve seen. Of my poor troubled heart. That stole this heart of mine. That sung this doleful tune. Just as I mourn for thee. Just as a side note, I think Crowfoot’s version is an improvement upon the words in “The Lover’s Lament.” I mean, “Her lips was like some musical instrument”?! The raging seas will burn. In letters of bright gold. If you’re wondering why “Every Day Is Three” has that title, it’s because Tim Eriksen’s version of the song has two more verses that don’t overlap with anything in “The Blackest Crow” or “The Lover’s Lament.” Also, it’s worth noticing that Text B of “The Lover’s Lament” is addressed to a man, while most of Text A is addressed to a woman, like in “Winter’s Night”. Lastly, despite the fact that “The Lover’s Lament” contains material that matches the first and second verses of “The Blackest Crow” and “Every Day Is Three,” it does not mention the black crow! What do I conclude from all of this? I’m no ethnomusicologist, but it seems to me that there is a set of WHO WILL SHOE YOUR FEET songs and a set of BLACK CROW songs, and then there are songs that belong to both sets, pointing perhaps to some common origin or else the mixing of texts with common themes. 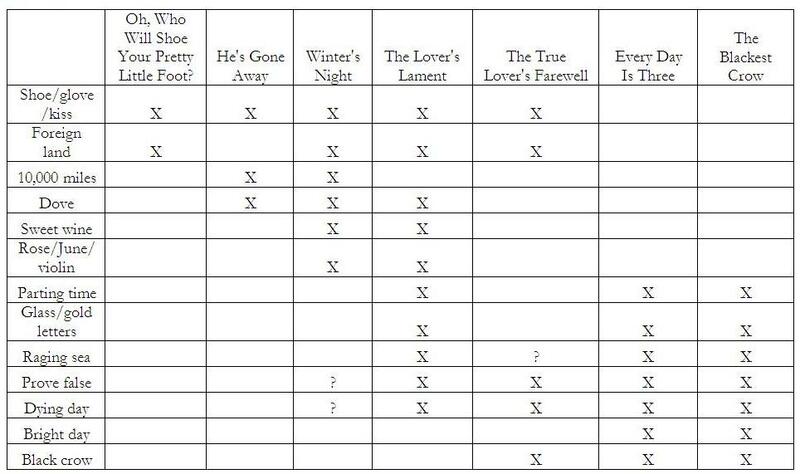 Carl Sandburg did call “The Lover’s Lament” a blended text, but is that also the case with “The True Lover’s Farewell”? Before poring over The American Songbag, I never thought there was any connection between two of my favorite songs: Crowfoot’s “Winter’s Night” and Molly & Maggie and The Ephemeral Stringband’s “The Blackest Crow.” Now I know! And because I couldn’t help myself, I created this chart comparing the imagery in all the songs discussed in this post and the last one!